With just one set of controls for both channels, the 1974 four band Stereo Parametric Equaliser is a genuine stereo unit delivering a vintage tonal quality reminiscent of 1970's gear the is its inspiration. Variable Low-cut & High-cut filters perfectly tune out any unwanted signals, and with fully variable bandwidth, you have absolute control over the parametric mid-bands. Switchable slope, plus low peak, allows you to adjust the focus & magnify the bottom end, and with indented & accurate potentiometers, you get greater precision with fast & simple recall. To find out how the 1974 can bring out the best in your recordings go here. The 1976 Stereo 3 Band Saturation & Width Processor will inject character, colour & life into your recordings and live sound. When it comes to vintage saturation why compromise with digital plug-ins, achieve the warmth only true analogue can bring! With 3 bands, the stereo width of the Lows, Mids & Highs can be adjusted to add real presence and depth to your mix, with genuine stereo operation and at an affordable price. To find out how the 1976 can warm and glue your mix go here. The new CMC7 Surround Monitor Controller is the perfect, cost effective alternative to the Drawmer MC7.1 and appeals to users who wish to simplify the monitoring functions on their 8 channel or 5.1 and 7.1 surround sound applications. Find out more here. The new CMC3 Monitor Controller conbines the best features from our three best selling monitor controllers. Find out more here. Watch Kieron briefly outline the features of the CMC3 and CMC7 at Musikmesse 2018. Courtesy of MusicStoreTV Youtube Channel - thanks guys! The MC7.1 is a monitor controller that's just as capable whether you work with 7.1, 5.1, stereo and more. Coming from the same world class pedigree, and just as transparent as the renowned MC2.1 and MC3.1 monitor controllers, the MC7.1 allows you to step up to surround effortlessly. To find out why the MC7.1 impresses so much go here. The new CMC2 Compact Monitor Controller is a low cost, low profile, compact desktop controller. Using the same audio accurate and transparent circuitry as the ever popular MC2.1 & MC3.1 monitor controllers, the CMC2 has a reduced the feature set to be more procket friendly for those how want all the quality but fewer features of our more complex monitor controllers. Find out more here. We are very proud to announce that Drawmer have won yet another award. The 1978 Stereo FET Tonal Shaping Compressor has won the prestigious Resolution Magazine Award 2016 in the category of dynamics. To find out why the 1978 impresses so much go here. Courtesy of MixBus TV Youtube Channel - thanks guys! The new MC3.1 Monitor Controller is now shipping - contact your local Drawmer dealer to get your hands on one. The MC3.1 is our latest product in the Drawmer Monitor Controller family bringing an expanded feature set over the MC2.1. Full cue mix facilities, a secondary preset volume control to give repeatable calibrated output, a digital input, Low/Mid/High band solo, Individual Mono/Sub select, and External talkback Mic input with footswitch control are all new additions. Housed in a stylish aluminium Desktop wedge shaped chassis, with external power supply. Find out more here. The high performance CPA-50 Class D amplifier delivers 25Wrms per channel into 8 ohms (50Wrms per channel into 4ohms) can also function as a 100Wrms into 8ohms Monoblock which allows the system to operate in bi-amped or bridged modes, and is small and light enough to fit into a bag to take anywhere. 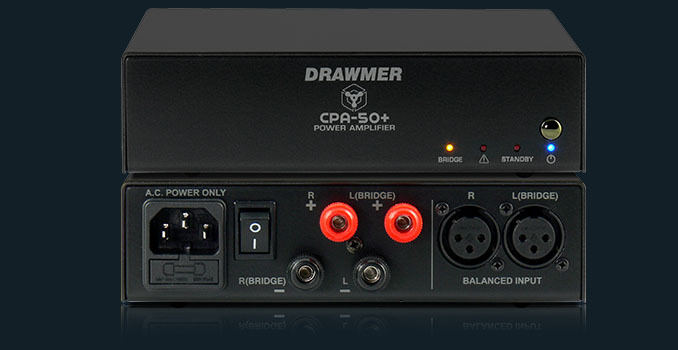 For more information about the CPA-50 go here. We are delighted to announce the appointment of Gear4Music as a new dealer of Drawmer products in the U.K.. Launched in 2003 and now with over 590,000 customers, Gear4music.com is a leading retailer of musical instruments and music equipment. For more information go to their website at www.gear4music.com, or email info@gear4music.com. Those of you visited the Drawmer stand at Musikmesse will have been lucky enough to see the two new products that are about to go into production. We have extended our Monitor Controller range with the edition of the MC3.1 which brings an expanded feature set over the MC2.1. Full cue mix facilities, a secondary preset volume control to give repeatable calibrated output, a digital input, Low/Mid/High band solo, Individual Mono/Sub select, and External talkback Mic input with footswitch control are all new additions. Housed in a stylish aluminium Desktop wedge shaped chassis, with external power supply. Find out more here. You could also find the new Power Amplifier, the MPA-90, the perfect partner for the Drawmer MC series of monitor controllers. The MPA-90 is a high performance Class D Stereo Power amplifier delivering 90W per channel into 4 Ohms (50W per channel into 8 Ohms), and includes thermal protection, overload protection and an output clipping indicator. 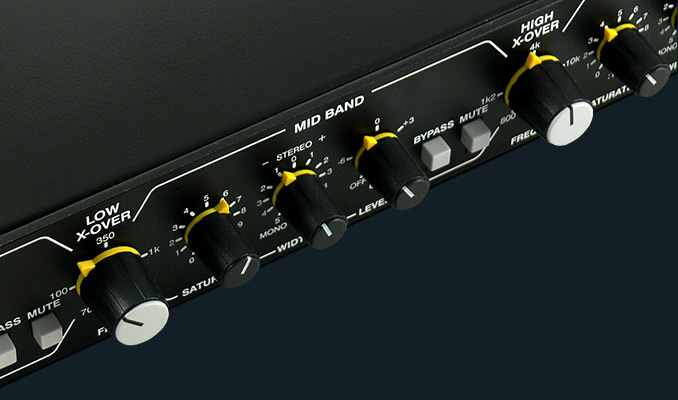 The MPA-90 works in Stereo and Bridge-Mono modes, and has Balanced XLR and Phono inputs. Perfect for powering passive monitors in the studio, it is equally at home as part of your hi-fi system.. Find out more here. We are hoping to get them into production, all be it with a few small improvements, by the middle of 2016. The S73 Intelligent Master Processor is the result of a collaboration between ourselves and the world leading developer of audio recording software and plug-ins, Softube. With an underlying architecture modelled on 1973 Stereo FET Three Band Compressor, but with an interface that has reduced the number of controls to just a handful, it simplifies the multi-band compression process. To find out more head over to the Softube website here. Your chance to vote for the 1978 in the 31st Annual NAMM TEC Awards is now open. We've been nominated alongside some stiff competition in the category of 'Signal Processing Hardware' and so your vote will be highly appreciated. To vote, click here., fill out and submit the brief registration form and proceed to the ballot to start making choices. Voters can participate in any or all categories, and can only go through the process once. The deadline to submit votes is 31 December. Our friends at MixBus TV have now released a full video review and demo of our 1973 Multi-band FET compressor. The video gives a really comprehensive look at the full feature set of the 1973, with lots of audio examples with different sources. We have teamed up with MixBus TV to bring you comprehensive reviews and demonstrations of Drawmer gear. First up is the 1978 Stereo FET Tonal Shaping Compressor. An extensive video covering all instruments as well as master buss processing. 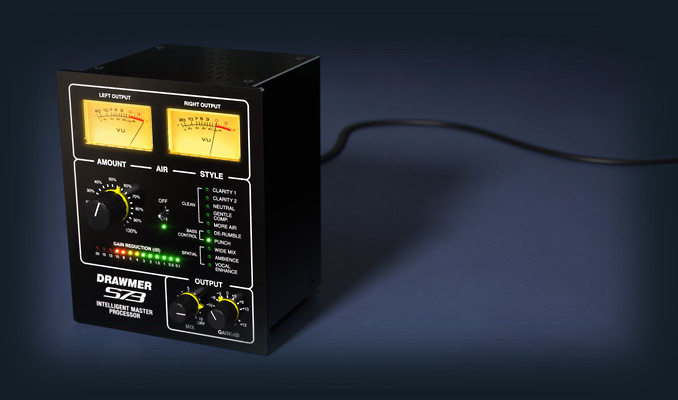 Following the success of the 1973 multi-band, we bring the 1978 buss compressor to market. A stereo FET compressor with extreme control, being equipped with switches that offer different compression characters, a variable saturation control to add harmonic distortion to the signal, and comprehensive sidechain tonal shaping with variable high-pass and low-pass filters as well as a wet/dry mix control. In line with the 1973 the 1978 offers an unequalled array of control at a price that is in reach of even the smallest project studio. Find out more here. Watch Kieron briefly outlining the features of the 1978 at Musikmesse 2015. Courtesy of DelamarTV Youtube Channel - thanks guys! By eliminating the possibility of �unauthorised� excessive sound pressure levels the Drawmer SL22 Sound Level Limiter offers strict level control and tremendous peace of mind to users in three distinct areas: Comply to Noise at Work regulations by safeguarding your hearing whilst listening to headphones; allow your venue to conform to Local Authority Noise Regulations; and protect your speaker's chassis drivers and amplifier electronics by catching unwanted signals such as �bangs� and �pops�, all in one 1U product. For more information about the SL22 go here. We are very proud to announce that the 1973 Three Band Compressor has won the prestigious Resolution Magazine Award 2014 in the category of dynamics. For more information about the 1973 go here. We are delighted to announce the appointment of Leidian Audio as our new exclusive distributor thoughout China. For more information go to their website at www.leidianaudio.com, email leidianaudio@gmail.com or telephone +86-13466671531. SEA Vertrieb & Consulting GmbH - Now handling exclusive Swiss distribution for Drawmer. Drawmer Electronics Ltd. are proud to announce S.E.A. Vertrieb & Consulting GmbH as the exclusive distributors for the full Drawmer product range throughout Switzerland as of 1st July 2014. Dipl.-Ing. Uwe Kirchfeld, CEO and founder of S.E.A comments � Ivor Drawmer is a living legend in the pro audio world. His inventions and product developments have had a significant impact on the recording industry for more than 35 years. Drawmer is still an innovative and ground breaking manufacturer and his newest product developments are clear proof of this: the excellent MC2.1 monitor controller and the outstanding 3-band stereo compressor 1973 created a lot of hype and heralded the second spring of Drawmer. After managing distribution for Drawmer very successfully in Germany and Austria since 2005, we are very pleased to offer our distribution services to our Swiss dealer network starting on the 1st of July 2014�. Ivor Drawmer MD of Drawmer Electronics comments "After nearly ten years of excellent support and growth of the Drawmer brand across Germany and Austria from Uwe and his team, there was only one company to approach when the opportunity arose for a new distributor in Switzerland. S.E.A have done a phenomenal job on promoting our latest studio equipment and with more exciting new products in the pipeline I see this great partnership going from strength to strength". Currently, the SEA sales team including the Managing Director Uwe and Katharina Kirchfeld includes 30 employees in sales, consulting, order processing, shipping and support that provide with comprehensive advice and fast order processing for a competent customer service. Expanding on our renowned range of dynamics processors we introduce an affordable Three Band Stereo FET Compressor that every engineer will appreciate - the 1973. The culmination of 30 years of development and experience, the 1973 combines the functionality and control of the world class DRAWMER S3 with the familiarity and quality of the illustrious 1960 and 1968, providing three bands of transparent soft knee compression for the price of a conventional full band compressor. We are very happy to announce that the Drawmer MC2.1 Monitor Controller has been nominated for an award at the NAMM Foundation 29th annual Technical Excellence & Creativity Awards in the category of 'Amplification Hardware/Studio & Sound Reinforcement'. The TEC Awards ceremony recognizes the year�s best audio products and projects, as voted upon by industry professionals and will be held at NAMM Show, Anaheim, California, on Friday, January 24, 2014. To see a full list of the nominees go to the NAMM awards website here. We are delighted to announce the appointment of HAV Productions as our new exclusive distributor thoughout Saudi Arabia. Based in Jedadh, HAV Productions are Saudi Arabia's largest independent Audio Visual equipment specialists, with many years experience in the production of live shows, concerts, product launches, exhibitions and conferences, as well as video shooting and post production to broadcast standards. For more information go to their website at www.havpro.com or email info@havpro.com. We are pleased to welcome Reflexion Arts as our new official distributor for Spain. Based in Vigo in the north west, Sergio Castro and Dr. Maria Santarém of Reflexion Arts' have a long standing reputation for supplying only the best professional audio solutions to the Spanish market. Please contact them via their website at reflexion-arts.com, or follow them via facebook or twitter. D-Clock-R - Dual Redundant Clock Distribution Ampliifer Designed for the Live and Broadcast Environments. Courtesy of Factory Sound TV, Melbourne, Australia - thanks guys!